AIM 100 iomart Group plc (LON:IOM) continue to benefit from a market shift towards cloud managed infrastructure, having attracted a number of new clients to their Cloud Services offering. In a Pre-close Trading Statement for the 12 months to 31 March 2018, the Company has reported revenues of 9%, with an approximate profit before tax of £23.9 million. iomart has been developing their cloud services offering both organically and via acquisition, having acquired Cristie Data, Dediserve, Simple Servers and Sonassi in recent times. The trend towards cloud based services is largely driven by the opportunity to manage infrastructure in a flexible and scalable way, and although the end result is an easier-to-manage system, the choices at set up are varying and complex. There is no ‘one size fits all’ solution, and what works for one organisation might not necessarily be the best choice for another. This is why iomart run a cloud-consultancy division, providing services which they believe will help them remain a market leader for years to come. The division provides customers with insights over a wide range of market choices, employing people with expertise in Amazon Web, Microsoft Azure and Google Cloud, as well as professionals with a background in non-public and hybrid cloud solutions. iomart service both large and small organisations, and has seen strong performance in their ‘EasySpace’ brand, which provides cloud solutions to small and micro businesses. The Company will release full results on Tuesday 12th June. 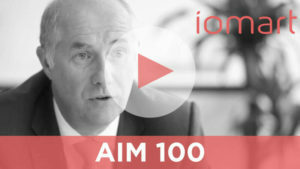 We filmed the video below with iomart Group’s Financial Director Richard Logan. It provides a quick overview of the Company’s operations and growth strategy. We organise investor roadshows for iomart. They are strictly for professional investors, and if you would like us to notify you when they are next in your location, please contact us.